Application (Windows XP) or Programs and Features (Windows Vista, 7, 8, 10) options. 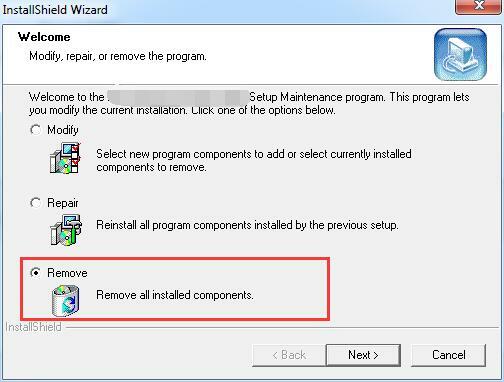 Please find the installer or re‐download it from our website, www.autodwg.com Launch the installer and then choose “remove” to uninstall AutoDWG program. AutoDWG program can be uninstalled from your Windows through Control Panel. Please Go to Programs and Features or Programs > Uninstall a Program.